Holy bean sprouts, Bat-friends, I almost short-circuited most of my neural pathways in Whole Foods today. But we knew that would happen, didn't we? When it comes to things I love (good food, well-crafted prose, and Jon Stewart), I am incapable of any sort of critical distance. And one of my very favorite things to do, especially when visiting a foreign country, is to spend an hour or two looking at every single item on the shelves of the local supermarket. Actually, that's more of a hypothetical since it's so hard to shake my family while on vacation, and they don't share my unbridled passion for grocery stores. Even distracting them with something like rabbit dog food or chickens with their feet and heads left on is only worth five minutes, tops. Short Pump might as well be a foreign country to me, since I never seem to get any farther west than Target at Libbie. Nonetheless, I thought, as a veteran of the Whole Foods in Charlottesville, I wouldn't be that impressed with the new one here in Richmond. I wanted to go to the press opening the day before the official one, but someone forgot to register me and the only tours they had left were after 5:00 pm. With my demanding chauffeur schedule (thank you, Richmond Ballet), that just wasn't going to work. It probably would have been a good idea, however, to do few little desensitization exercises before I went today. The visual overload was profound. Not to mention the number all those choices did on my psyche. I can barely believe how much I spent on dry-aged beef. Even with the $10 discount if you spent $40 or more (!) at the meat counter, it was a very, very foolish thing to do. Ditto the avocado oil, the Pellegrino sodas (lemon), the chocolate, the duck, the many different kinds of greens, and the fish--particularly bad since I was overcharged $5/pound for it (I know, I know). Please don't tell any of the many CSA's I belong to that I was there. I'm deeply ashamed of betraying them like this. Whole Foods is, indeed, very far away. That's good for me and good for everyone out there in Edge City. I don't need to waste the gas and wallow in regret on a regular basis. I think Ellwood Thompson will be just fine when the excitement dies down, and its carbon-conscious customers start to feel as guilty as I do. Actually, they've probably all beat me to it. 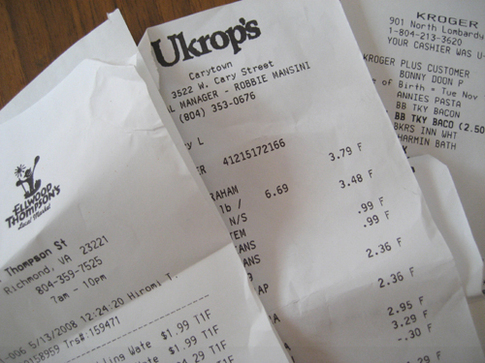 Ukrop's, I'm confident, will again up their game. They always do, and I love them for that. With its expansion, we know E-T is already on top of the new competition, and I'm grateful for their foresight. It's a great big new world out there in the grocery store universe! 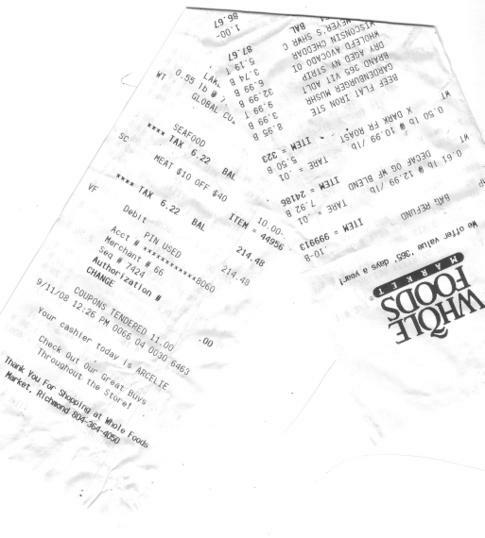 In addition, the two stores have one thing that Whole Foods has yet to understand is a deal breaker for most Richmonders: Bag boys. Or bag people. Or maybe bag-granddads. Who sometimes sing. Richmonders like to chat AND they don't like to push carts in parking lots, so the bag carrier serves a unique and much overlooked social/utilitarian function in the daily rounds of local life. In conclusion, I'd like to thank Whole Foods for coming to Richmond, or at least coming near our dear city. Even though I don't have the time or money or mental fortitude to shop your aisles, just knowing you're there makes the food world better for everybody. I like choice, even if I choose to abstain. I went to E-T and ate the entire prepared food case. Read all about it here . I'm a spendthrift by nature but reality is making some inroads. Check out what I have to say about food and local food prices over at RVANews. 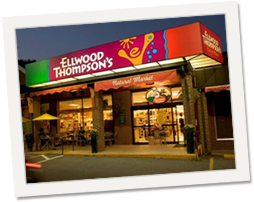 I apologize Ellwood Thompson's. You are pretty awesome and I just can't stay away. It really is. So much more awesome. * I've become increasingly frustrated with Ellwood, even as I occasionally sing its praises, and have realized my visits were mostly a matter of proximity. I've mentioned before how annoying and yet uplifting it is when you find a special ingredient you've mail-ordered sitting on the shelf of a local shop--instant gratification married to the lack of shipping charges is an irresistible combination. However, since I just ordered a big box of various whole grains that hasn't arrived yet, I was more annoyed than overjoyed to find all of them (yes, ALL of them) and more available at Good Foods Grocery when I stopped in during a jaunt to the far West End. 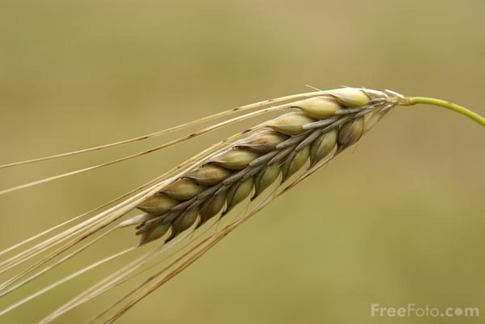 Now, most of you probably aren't complete converts to whole grains yet. 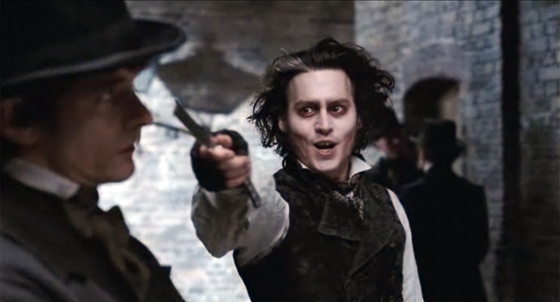 To accomplish this task, I recommend a showing of Sweeney Todd, followed by the immediate reading of Michael Pollan's new book, In Defense of Food: An Eater's Manifesto. I dare anybody to resist the clarity of Pollan's prose while haunted by images of Johnny Depp's slashing razor. So, where was I? Oh yes, admitting it's very hard for me to find a critical distance from Pollan. I just love his style and in my love-struck infatuation with it, have a tendency to swallow his arguments whole (did I really just admit that?). My only quibble with him would be my reluctance to chuck maple syrup--not the lovely, thin, pure kind from trees, but the thick, viscous maple-flavored corn syrup I love to pour all over my pancakes. I will, I promise, assiduously avoid high fructose corn syrup in all other products, but I don't plan on giving up my Log Cabin, not just yet. There's a great whole-grain starter recipe in Eat, Drink, and Weigh Less by Walter Willett and Mollie Katzen. Pollan partially demolishes Willett's ideas about food in his book, and Consumer Reports last year said that this particular diet had too many daily calories to help with actual weight loss (! ), but the book still has a truly wonderful whole grain side dish that's earned a permanent place in the rotation of my weekly menu cycle. So there. Plus, I love it even more (because I can eat it more often), now that I know all of the ingredients are available at Good Foods Grocery. Well, I'll start loving it even more, right after I choke down the grains due to arrive this week that cost more to ship than they did to buy. PLAN AHEAD. This takes a while to cook. Katzen advises cooking it the night before and reheating the next day. Rinse all the grains together in a strainer. Transfer to a medium-large saucepan and add 3 cups of water. Place the pan over medium heat and bring to a boil. Cover, then turn the heat down as far as it will go, and simmer, covered, for 1 1/2 hours. Check the grains and see if they're done to your liking (they'll still be a bit chewy). If you'd like them softer,add a little water, cover pan, and continue to cook over low heat for up to 10 minutes. If they're too soupy, drain for 5-10 minutes in a colander. Fluff with a fork, and let stand uncovered for about 10 minutes (not necessary if you were draining). Salt and serve hot or warm, topped with cashews. Or mix them right in, like I do. Serves 5, although no known children have eaten it yet, not counting the larger pieces of cashew. *Pardon me, I've been infected by the Ross Catrow disease. **Jacques Derrida, scourge of grad students everywhere: "It is because of différance that the movement of signification is possible only if each so-called "present" element, each element appearing on the scene of presence, is related to something other than itself, thereby keeping within itself the mark of the past element, and already letting itself be vitiated by the mark of its relation to the future element, this trace being related no less to what is called the future than to what is called the past, and constituting what is called the present by means of this very relation to what it is not: what it absolutely is not, not even a past or a future as a modified present . . ." Etc. Until you awake to find your cheek pressed into a puddle of drool on a table at the library, as the clock ticks inexorably forward. I, myself, have fallen asleep in every single library on the grounds of the University of Virginia, of which there are five, including the medical library. 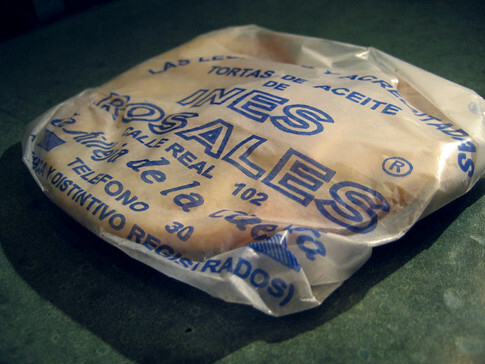 Crackling with a scattering of sugar, spiked with a touch of anise seed, tortas are thick, brittle crackers individually hand-wrapped by the fine ladies of Seville, in southern Spain. 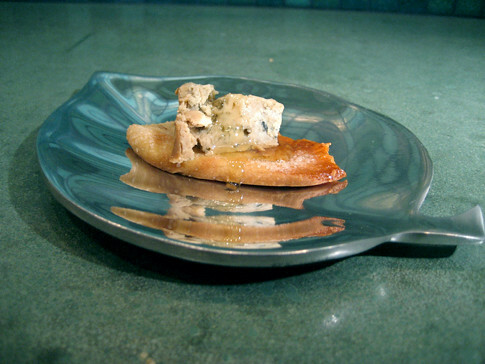 Break them into quarters, crumble on some Cabrales, Spain's intensely flavored blue cheese, and add a glistening drop of honey on top. That's how savory and sweet get married in your mouth. Lucky you, La Tienda will deliver them right to your house.